Mussoorie is a beautiful hill station in the Garhwal Himalayas with a commanding view of the Kedarnath peaks in the North, Bandarpoonch peak, Gangotri group of peaks, Doon Valley and the peaks of Chanabang. Mussoorie’s location, good connectivity by road, rail and air and moderate altitude is a winning combination and the hill station sees a steady stream of tourists throughout the year. 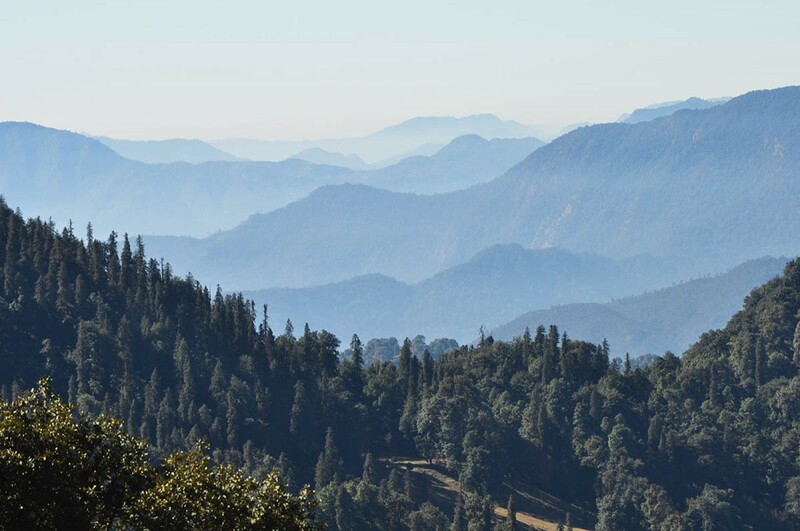 Trekking in Mussorie takes you through a thick canopy of deciduous forests with alpine trees and past heritage structures from a bygone colonial era. The sunrise here is a sight for sore eyes as the mountains are bathed in a golden hue. It’s a a true photographer’s and birdwatcher’s delight. 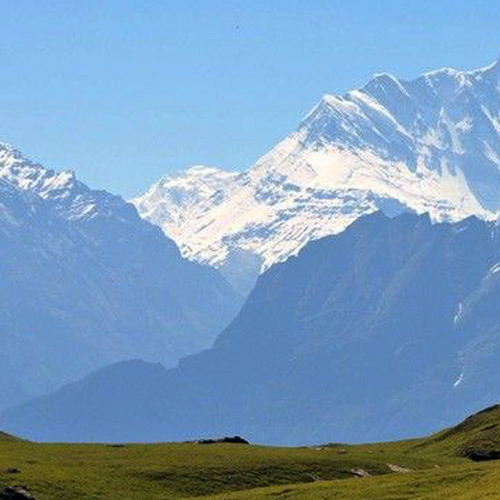 One of the best loved Mussoorie treks is the Nagtibba or Serpant’s Peak trek which is nearby. This range is said to be the abode of the Cobra God and the locals worship the Nagdevta deity for protection of their cattle. 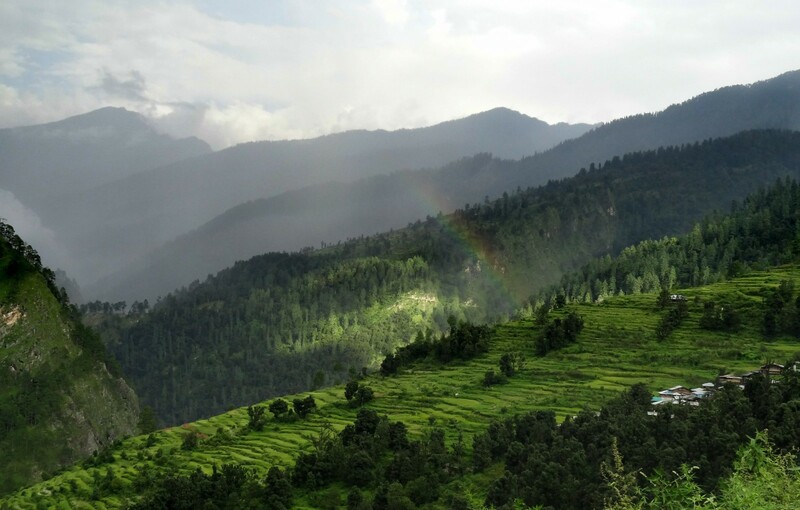 The Nagtibba trek is a moderately challenging one, starting at an elevation of 3500 feet and going up to the top of Nagtibba at 10,000 feet. 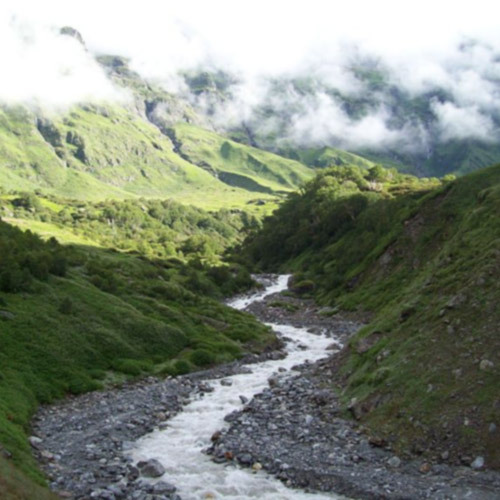 It is perfect for newbies and participants with some experience looking for a short Mussoorie trek. 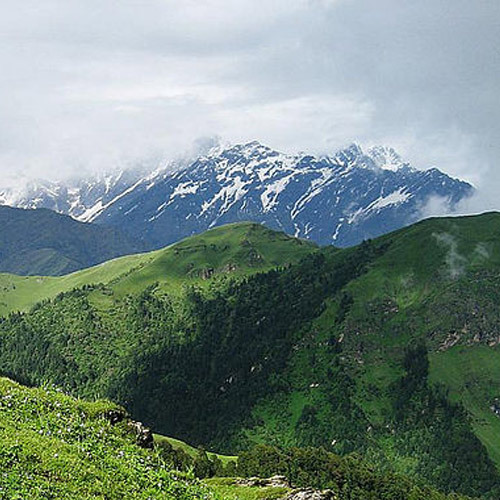 This Nagtibba trek gives you a pleasant mountain experience while it takes you through thick Himalayan jungle, streams and offers magnificent views of the Himalayas. On this Mussoorie trek you’ll get some beautiful views of the towns nestling in the midst of the lush hills from high vantage points. 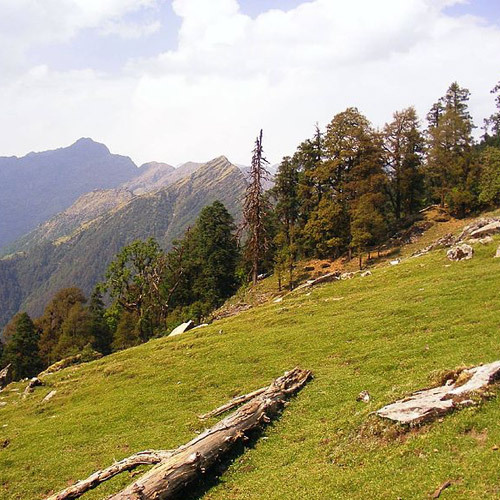 Trekking in Mussorie will take you to the top of a ridge peak in the Nag Tibba range of the lower Himalayas. You'll trek through delightful paths, meeting friendly farmers and locals along the way. It's about 4-5 hours of trekking, with some steep patches. At the top, your campsite will be set up for a complete outdoors experience, with basic comforts like tents, sleeping bags, toilet tents, all led by a friendly team of guides and porters. While trekking in Mussorie, you’ll often find the ground covered with wild mint, which the cook will pluck to make you a deliciously refreshing cup of tea. 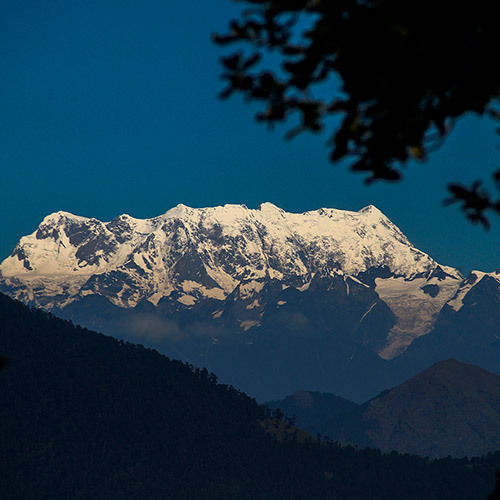 The rest of the evening is free for you to explore the campsite and admire the spectacular views of snowy peaks like Swargarohini, Bandarpoonch, Srikanth and Black Peak. This Mussoorie trek offers breath-taking views of snow-capped mountains as you make your way through pine and oak forests to an old village. The trail takes you through the upper stretches of the raging river Yamuna through peaceful and breezy step farms. On this Mussoorie trek you will traverse dense and misty forests of oak with orchids and scarlet rhododendron at your feet. Hills lush with purple blossoms of the Bauhinia trees make for a pretty sight. Goats and woolly sheep dot the hillside. Look out for birds like Flameback woodpeckers, jungle wabbler, red and blue bulbul, hill myna and warblers. If you are lucky you may have a leopard sighting but it is rare and you are more likely to see porcupines, wild boars, ghorals and fox. In addition to trekking in Mussorie you can river-raft along the Yamuna and enjoy adventure activities like rock climbing, rappelling, camping etc. With its fairy tale scenery and pleasant weather Mussoorie is known as the ‘Queen of Hills’ and has The best season to visit is in the summer from April to July but Mussoorie treks are popular all year round thanks to the pleasant weather in this region. 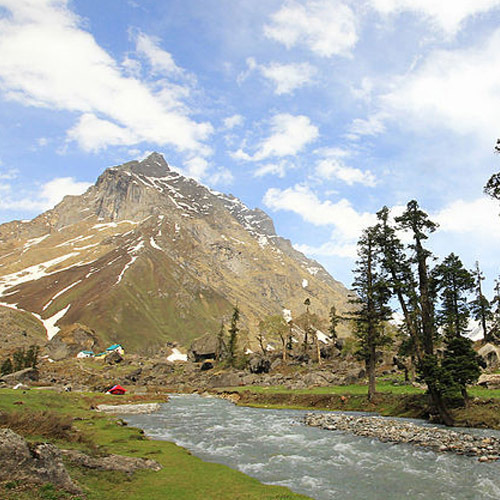 There are numerous tourist attractions with trekking in Mussorie being the most popular. Most Mussoorie treks are short and easy which make them good for beginners or for families with children. Mussoorie treks can be completed within a few hours and are ideal for a quick and refreshing weekend getaway.